Santa Claus is real. While it is popular to think the jolly fat man is merely fiction, that simply isn't true. Don't believe me? Back in the early 90s, when I was a kid, I asked Santa for a Super Nintendo and I got it! How else can that be explained? Exactly. 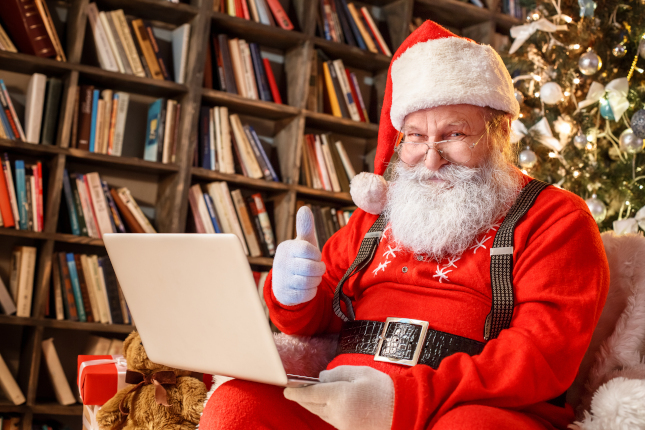 If you want further proof that Mr. Claus exists, every year, Google launches a Santa Tracker that allows you to track his gift-delivering journey around the world. The search giant's offering is more than just monitoring Santa's route, however. Actually, Google also shares a fun interactive online "village" with cool games and activities. This year, the Santa Tracker village is better than ever, with such things as an "Elf Maker" which allows you (or your child) design a custom elf. Beginning December 23, users of Google Assistant can ask it "Google, where’s Santa?” to get live location updates. "One of the hardest parts about being married to Santa is that he always forgets to let me know where he is. This year, I've enlisted our elite team of cartographelves to let everyone know where he is as soon as he takes off from the North Pole. In the days leading up to Christmas, Santa will share his location with you on Google Maps so you can see his travels as he moves across the map. Follow along with him there or on our Santa Tracker dashboard on December 24 so you don't miss his visit," says Mrs. Claus, VP of Product, Santa's Village and Santa Tracker. The wife of Santa further says, "From beaches to blizzards, you can get a better glimpse into how people all over the world are spending the holidays. You'll see holiday photos from Local Guides and you can test your knowledge of holiday traditions with a festive quiz powered by Google Earth and Street View. Curious about how to say 'Season’s Greetings' or 'Happy New Year' in other languages? Check out our Translations game to take your snowmenclature to new heights." ALSO READ: Happy Holidays Giveaway: Win an Honor 7X or Honor View10 Android smartphone! In addition to the fun interactive functionality, Google will also share educational things for students and educators, such as lesson plans and instructional videos. If you use the GBoard keyboard for iPhone or Android, you will be treated to special holiday "stickers" too. You can check out the interactive Google Tracker village here.